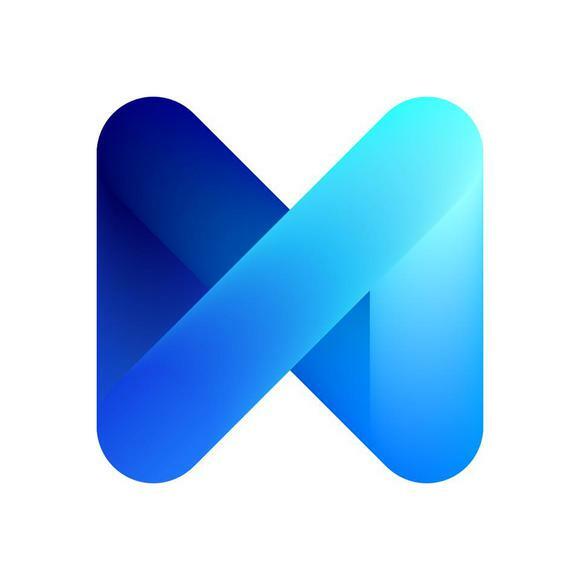 Facebook M is part digital assistant, part experiment in artificial intelligence. The recently revealed service runs atop Messenger, Facebook’s existing instant messaging app, and it’s billed as a tool that will do things even the best-known assistants, Apple Siri and Google Now, can’t yet do, like make an appointment at the DMV or buy a gift for a friend. The trick is that M is driven in part by human operators, but the hope is that in tracking the behavior of these humans, Facebook can build an artificially intelligent system that behaves like people would. The question now becomes: How well does the service work today? Late last month, Facebook released the service’s initial incarnation to a few hundred people in the San Francisco Bay Area, but the company hasn’t provided a public demonstration of the service or shown it in action to reporters. Mountain View, California-based UserTesting pinpointed an M user among the network of consumers it utilizes to test all sorts of tech products. The company invited the user—whom it declined to name—to run the service through a fairly broad range of tasks, and it ended up recording these tasks and tracking the user’s general opinions on how things played out (see video below). Facebook "M" Undergoing Secret Alpha Testing from Ralph Paglia on Vimeo. According to the company, the user described the experience as “surprising, useful, slightly creepy.” M could perform multi-step tasks—making restaurant reservations, looking for new deals on local internet services, and providing recommendations for weekend getaways, among others. This indeed put it a step ahead of purely virtual assistants such as Siri, the user said. But he complained that the service was too slow to respond to his messages and said M couldn’t complete some tasks in a reasonable amount of time. This is just one set of tests with just one user. But it shines a light on how difficult Facebook’s task will be. (Facebook declined to comment for this story). In order to collect data for a more advanced digital assistant, the company must ensure that the existing service works well enough—and that people use it. Before the launch of M, Facebook’s Alex Lebrun, an AI guru who works on the project, said that M could handle everything from telling jokes to planning weekend getaways. The tester tracked by UserTesting asked M for a joke and wasn’t all that impressed. He gave a it 3 on a scale of 1 to 5, and the service needs five minutes to tell it. He was more impressed with its ability to recommend a restaurant—and properly understand what he was asking—though he felt the task took far too long (11 minutes). “The user appreciated that M understands the context of the conversation, so he could simply ask it to ‘make a reservation there’ and it would understand where ‘there’ was, unlike Siri,” the report says. The weekend getaway? This was a bit more complicated. M took so long to complete the task that the user eventually gave up. After 15 minute wait, M provided an article listing 22 of the top getaway spots in California—something the user could have found with a Google search. It's been a good week for social-media giant Facebook . Last Thursday, over 1 billion people accessed its service in a single 24-hour period. That's a mind-boggling amount of activity, especially for a company that reported only 1.49 billion monthly active users, or MAUs, during its most recent earnings report. This level of user engagement, especially for a service showing signs of slowing growth in select mature markets, bears celebrating in its own right. However, Facebook also made another important strategic move with the public launch of its M personal assistant within its Messenger app last week. While the media largely frames this as a possible challenger to existing personal digital assistants, Facebook's new product actually places rival Google squarely in its crosshairs. Here's why. According to its mobile chief, David Marcus, Facebook began testing M among a small number of Messenger users in the San Francisco Bay area last week. Despite the modest beta release, Facebook harbors grander ambitions for M over the long term. What differentiates M from other digital assistants such as Google Now, and Microsoft 's Cortana is its unique mix of machine and human intelligence. According to an interview Marcus granted to Wired, Facebook designed M to not only provide relevant information for users but to also enable them to more quickly achieve the end use of that information. For example, Marcus claims M can help you not only search for information on a possible birthday gift for your girlfriend, but it can also help you purchase the item. According to Marcus, M does so by connecting its advanced artificial-intelligence software with real Facebook employees, called "M trainers," who are tasked with ensuring that every request gets resolved in a satisfactory manner. Other mobile on-demand services such as TaskRabbit employ similar man-and-machine models, and M certainly seems useful to an extent, although the degree to which this idea scales also isn't clear. Either way, Facebook's true intention with M will become clear soon enough. Rather than taking on personal assistants, with M, Facebook might finally be attempting to disrupt the one company many predicted that only it could -- Google. With its unique access to troves of data points -- including pictures and posts, among other things -- and how they relate to one another, Facebook also has the ability to index information at a scale some believe might even exceed Google's comprehensive Web indexing capabilities. These data points form the basis of Facebook's Social Graph, the informational bedrock on which many have argued that Facebook will create its own search business as a direct competitor to Google. And here, M appears to be the first tangible manifestation of Facebook's machine-learning efforts. Right now, if I'm looking to treat my summer cold, and I'm in front of my laptop, I begin by googling "cold meds Upper West Side." On mobile, however, I may pull up any number of apps -- Google, Google Maps, Twitter -- to find that out, or I may just ask Siri. ... Marcus hopes to make up for that by creating a virtual assistant so powerful, it's the first stop for anyone looking to do or buy anything. And as we've seen with Google's massive search-ad profit center, there's a significant economic opportunity here for Facebook as well. In the interview, Marcus goes on to sketch out a possible business model for monetizing M that sounds eerily familiar to the way that Google makes its massive profits: "We start capturing all of your intent for the things you want to do. ... Intent often leads to buying something, or to a transaction, and that's an opportunity for us to [make money] over time." This, in loose terms, is how a search engine operates and generates revenue. It may be too soon to see M as a key component of Facebook's multi-decade strategy, but in looking at how Facebook's executives discuss M, it becomes clear that the company harbors grander ambitions than simply creating a leading digital personal assistant. So while M is could be seen as just another high-visibility personal-assistant alternative, Facebook's big-picture aspirations appear to present a material threat to Google's search dominance. The world's biggest tech company forgot to show you something at its recent event, but a few Wall Street analysts and the Fool didn't miss a beat: There's a small company that's powering their brand-new gadgets and the coming revolution in technology. And we think its stock price has nearly unlimited room to run for early in-the-know investors! To be one of them, just click here . The article Meet M: Facebook Inc's Next Step to Unseating Google Inc originally appeared on Fool.com.